Gone are the days of basic inner tubes — they seem awfully dull now. From fire-breathing dragons to massive rainbows, we've truly seen it all. 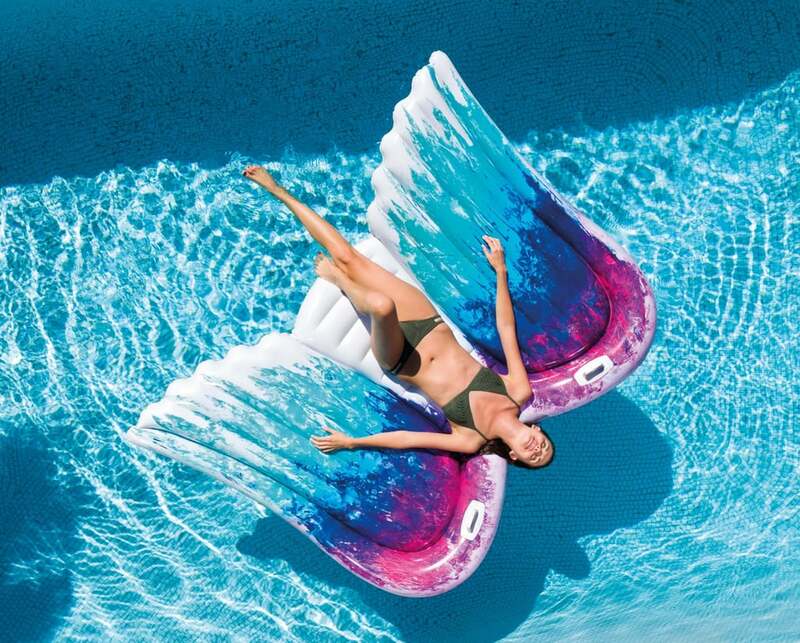 But we're not finished — we're adding this cool Intex Angel Wings Mat Floating Pool Lounge by Colette Miller ($35) from Walmart to the top of our wish list. The bold colours and huge size make us think it's meant for an epic Instagram snap. Beyond being beautiful, there is meaning behind these wings. Walmart states, "Colette Miller created the Global Angel Wings Project in 2012, in the streets of Los Angeles, the City of Angels. They were painted to remind humanity that we are the angels of this earth. They are human-sized interactive public art, wings that people take photos with and thus become part of the work. The first pair was just street art but the response was natural, immediate, and spontaneous — from people of all sorts and backgrounds. Colette has painted wings globally — Kenya, Australia, Taiwan, France, Cuba, Juarez Mexico, and more, and many in the USA." The floatie includes two handles so you can hold on while drifting around in the pool. Although one person is pictured on the product, we think two people could easily fit. 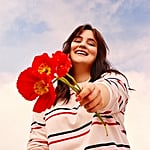 Don't wait around on purchasing this fun item — we have no doubt it will sell out before summertime.